Because the goblins of our current administration have skin thinner than a piece of wet tissue, The White House Correspondents’ Association has announced that, for the first time in more than three decades, they will not feature a comedian at the annual White House Correspondents’ Dinner. Instead, they’ve invited Ron Chernow, a prolific, Pulitzer Prize-winning biographer of George Washington and Alexander Hamilton, among others. He will, according to the WHCA, speak on the first amendment and the freedom of the press, which should be rich considering the year we’ve had. 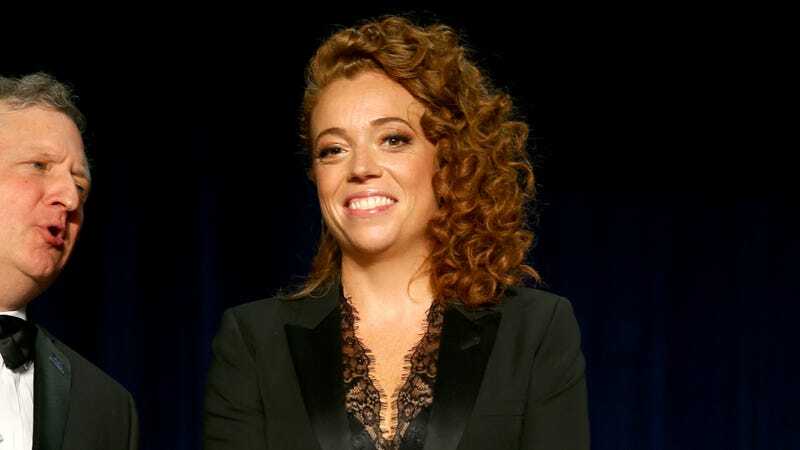 The shift comes after comedian Michelle Wolf drew criticism for her (hilarious) jokes about Vice President Mike Pence (“what happens when Anderson Cooper isn’t gay”), the GOP’s penchant for candidates with names like “Jeffpedophilenazidoctor,” and the media’s complicity in the administration’s rise. She drew particular heat from her (hilarious) cracks on Press Secretary Sarah Huckabee Sanders, who she described as “Uncle Tom but for white women who disappoint other white women.” President Trump, who didn’t attend the ceremony, said she “bombed” and that the dinner is “DEAD” while influential journalists like the New York Times’ Maggie Haberman falsely interpreted Wolf’s jokes to make them sound more mean-spirited than satirical. In the aftermath of the event, the WHCA said “the entertainer’s monologue was not in the spirit of the mission,” causing anybody who wasn’t a humorless Republican or an elite member of the media to roll their eyes into the backs of their skulls. One can assume that, by focusing about the past, the evening will allow everyone in the room to ignore all the new and profound ways in which both the media and our country is being dismantled.